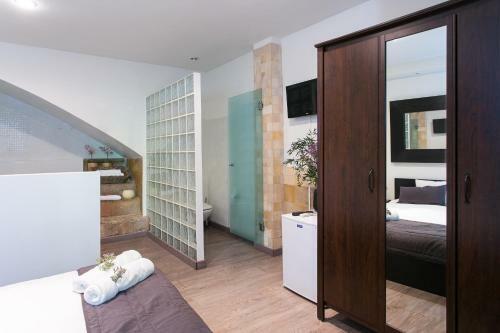 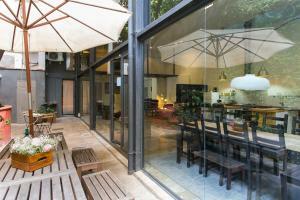 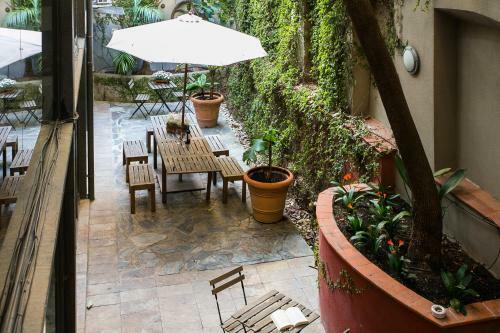 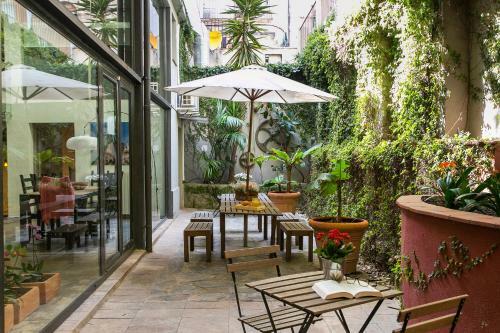 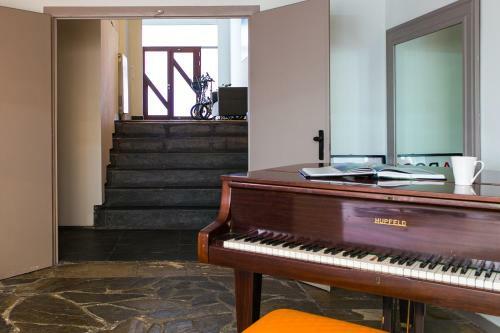 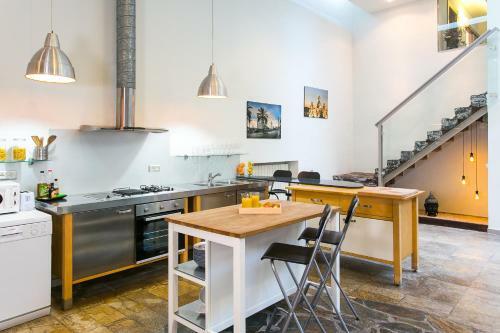 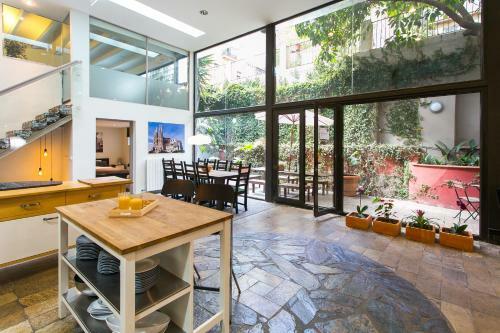 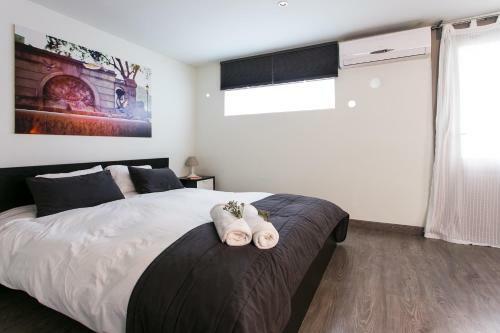 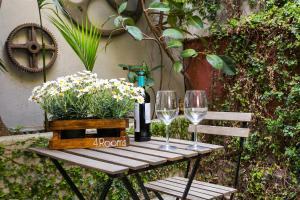 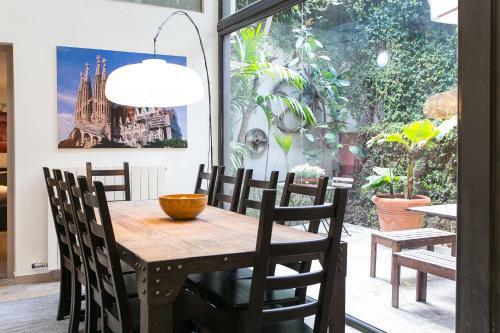 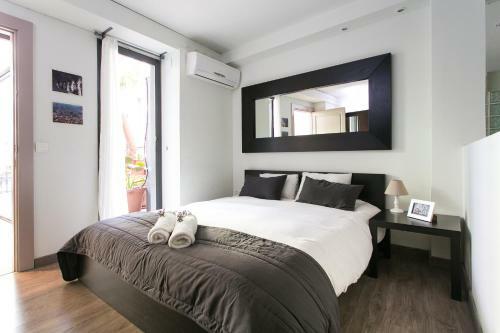 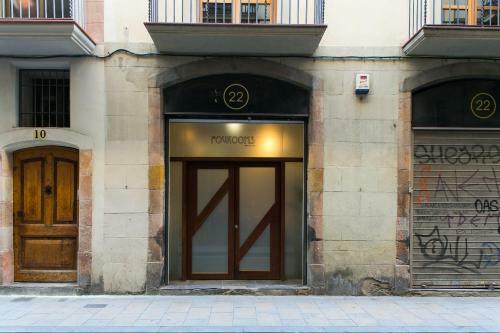 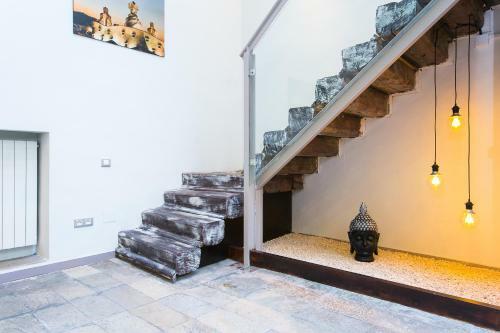 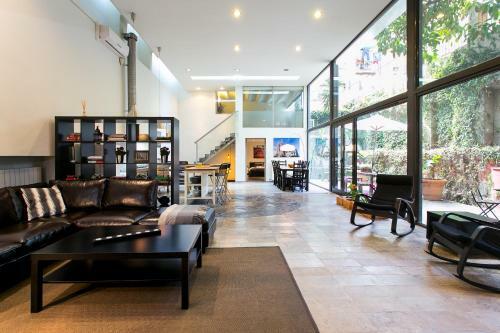 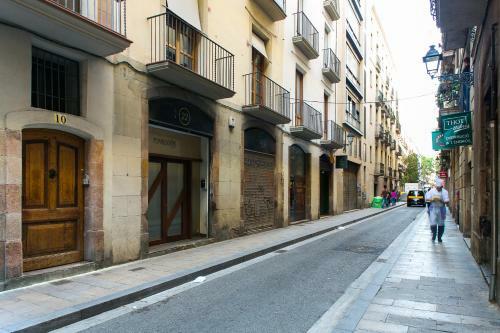 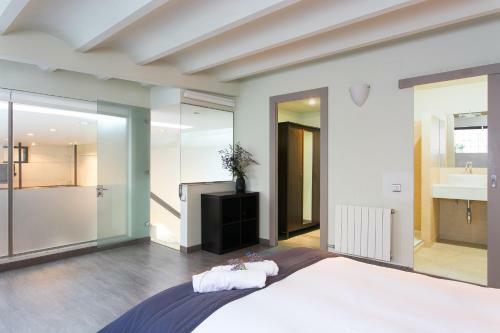 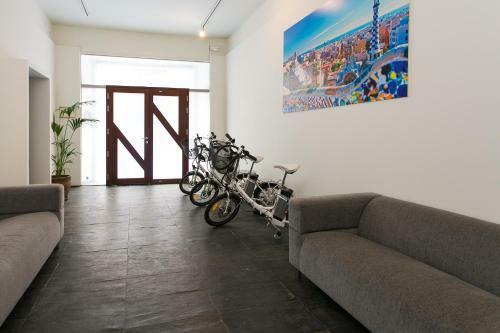 Located 3-minutes' walk from Las Ramblas, in the Raval District of Barcelona, 4 Rooms Barcelona offers separate rooms in a luxury, loft-style apartment, featuring a patio with outdoor dining area. 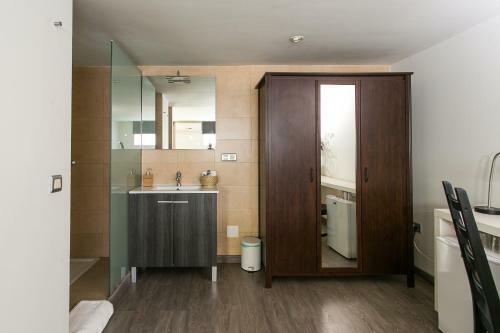 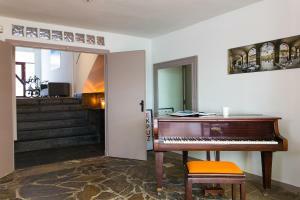 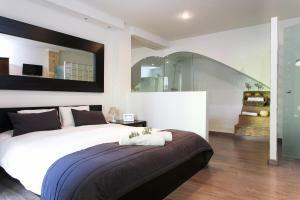 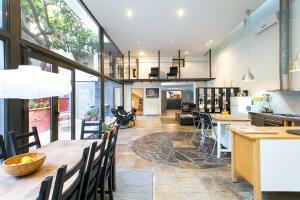 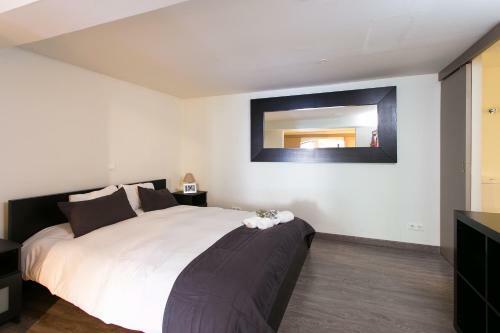 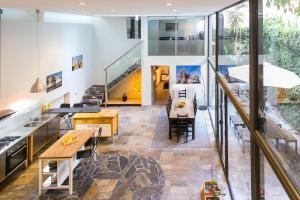 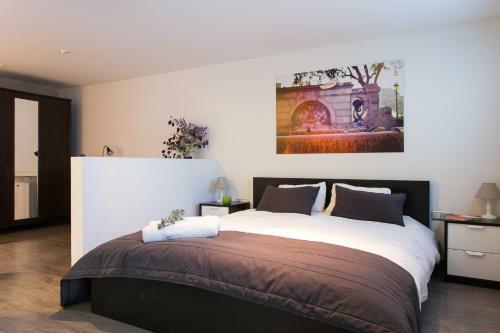 This modern apartment offers 3 double rooms and 1 quadruple room. 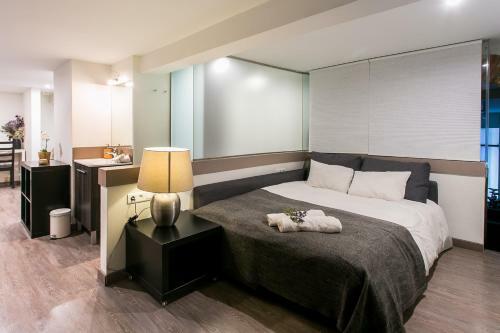 Distributed over 2 floors, these air-conditioned rooms come with free WiFi, a flat-screen TV, small fridge and private bathroom. The shared living-dining area features a spacious seating area with a large sofa and rocking chairs, a 6-seat dining table, a piano, and an American kitchen. 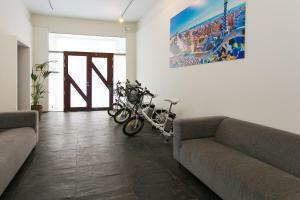 Bicycle rental and a laundry service are available at an additional cost. 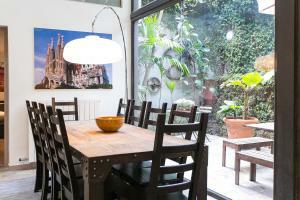 There is a wide variety of supermarkets, trendy shops, bars, cafés and restaurants in the surrounding area. Liceu Metro Station is 400 metres away. The Gothic Quarter, Plaça Catalunya Square and the Old Port are all less than a 15-minute walk from 4 Rooms Barcelona. 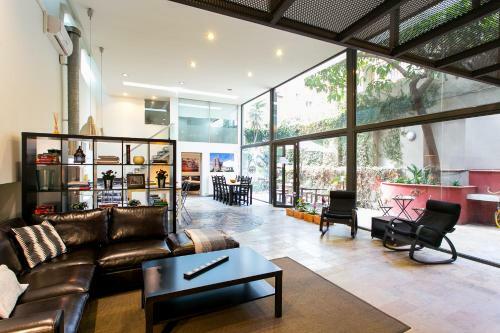 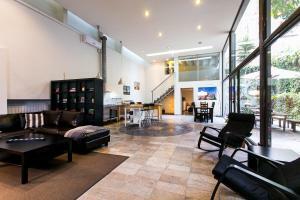 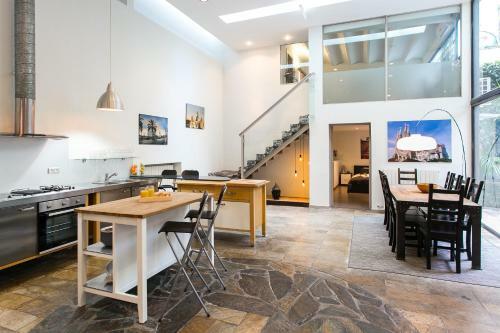 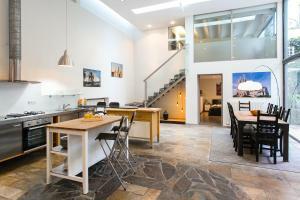 This spacious loft apartment has 4 bedrooms, a kitchenette with kitchenware, a spacious living area and a patio. 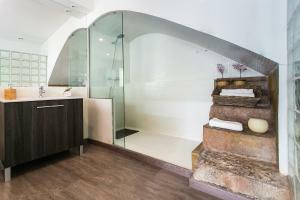 This double room has air conditioning, flat-screen TV, WiFi and a bathroom. 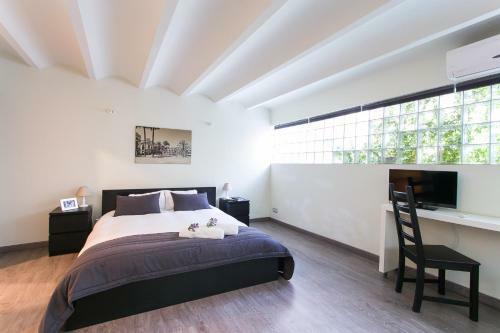 Rate: € 143.61; select dates below to get current rates. 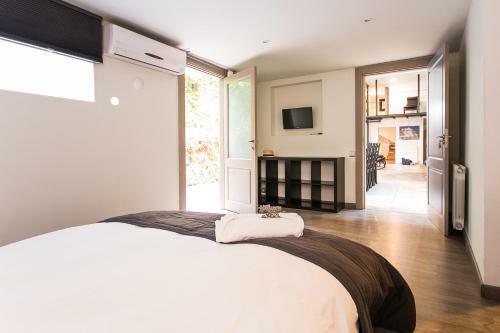 This quadruple room has air conditioning, flat-screen TV, a minibar and WiFi.